The North Wales NHS charity, Awyr Las, provides enhanced services over and above what the NHS funds. Gifts from the public make a huge difference to the care and treatment that our dedicated NHS staff are able to provide. Most hospital wards, departments and community healthcare services have dedicated funds within the charity, enabling you to support the specific areas of the NHS that are closest to your heart. 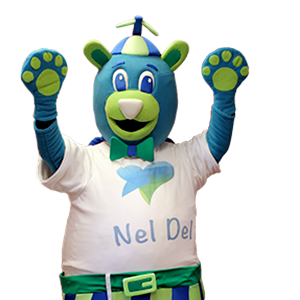 The charity's priorities are selected by frontline nursing and medical staff. 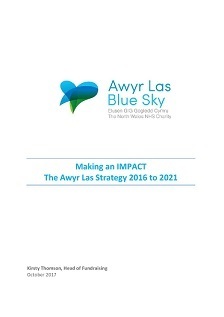 For more information about the charity, please see Awyr Las’ strategic plan for 2016-21 below, or download it by clicking here. 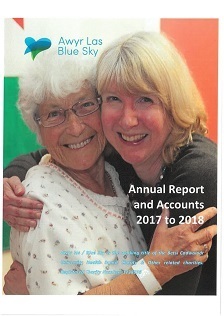 Please see the Charity's Annual Report for 2017 to 2018 below, or click here to download a copy. 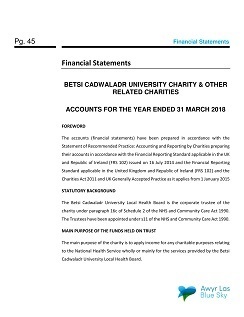 Please see the Charity's Annual Accounts for 2017 to 2018 below, or click here to download a copy.